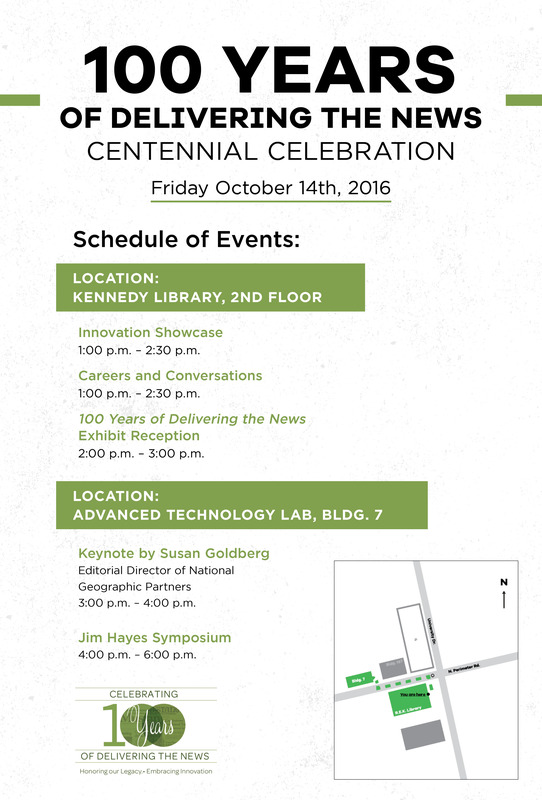 100 Years of Delivering the News offers a journey through the past century as seen through student eyes. Student-led research in the university archives, stories of distinguished Cal Poly alumni, photographs, and media innovation come together in this collaborative exhibit celebrating the centennial anniversary of Mustang News. 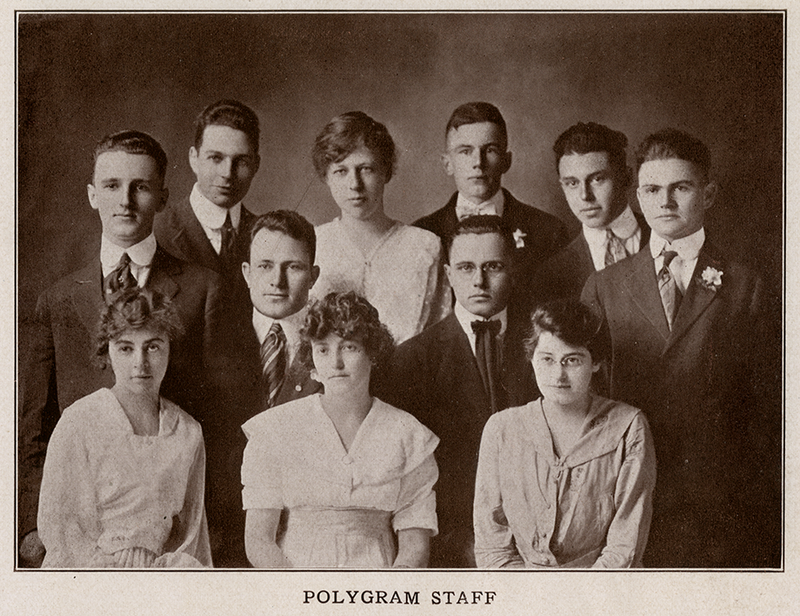 1917 student staff from Cal Poly’s earliest newspaper, The Polygram. Courtesy of University Archives. Metered parking is available in the H2 lot adjacent to the Library. Additional parking is available by purchasing a $5.00 general use permit from the Grand Avenue kiosk. 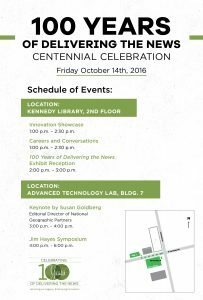 Reading the Headlines in Special Collections, 4th floor | Oct. 14 through Feb. 17, 2017. Happy Thursday! It's 11:27pm right now.